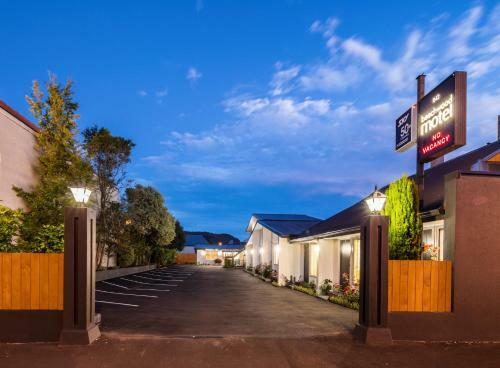 Situated just 20 minutes' drive from central Dunedin city, Hunters Moon offers stunning views over the Taieri plain. Guests of the working farm can relax in the indoor hot tub, gather eggs from the chickens or feed the sheep and alpaca. 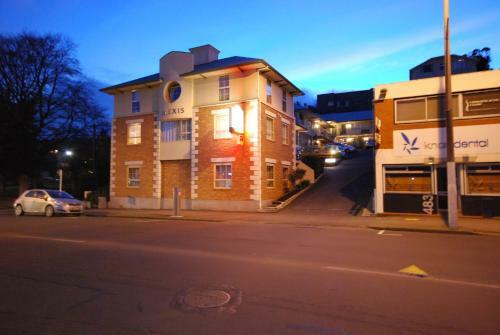 Aria on Bank offers accommodation in Dunedin. 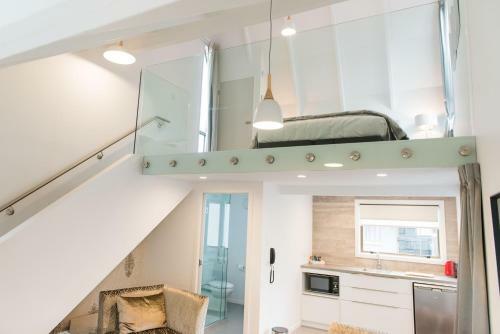 Free in-room WiFi and free private parking is available on site. The property has been refurbished, and each room is equipped with an LCD TV with Chinese TV channels. 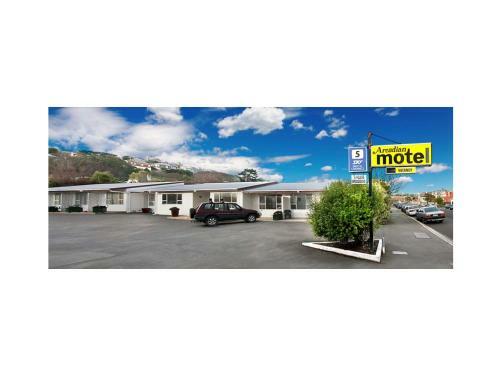 Arcadian Motel is located in a quiet area of Dunedin, just 7 minutes’ drive from the city centre. Free WiFi and free car parking are included. 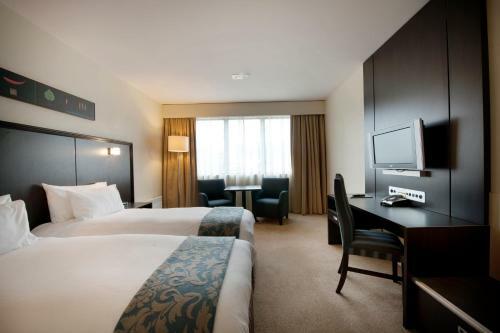 All rooms feature a private bathroom and 37-inch LCD high-definition TV with satellite channels. 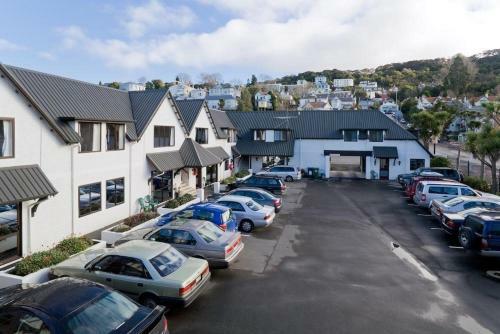 The Garden Motel is located in Dunedin, just 1 kilometre from the famous George Street shopping district. 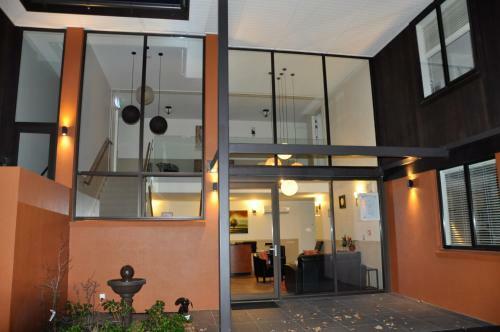 The property offers free Wi-Fi, barbecue facilities and free parking. 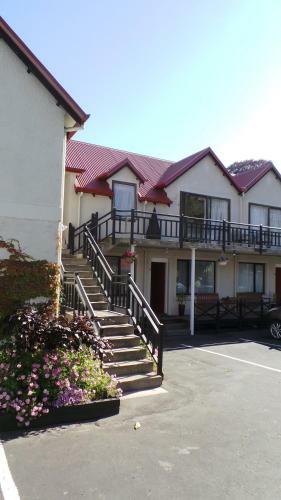 Offering self-contained accommodation with free Wi-Fi, flat-screen satellite TV and a DVD player, Allan Court is just 5 minutes’ walk from the University of Otago. Free parking is available on site. 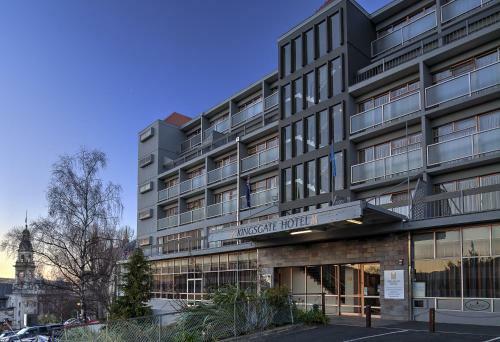 Located in central Dunedin, Law Courts Hotel features an onsite restaurant and gaming facilities. Guests enjoy free WiFi and free parking. 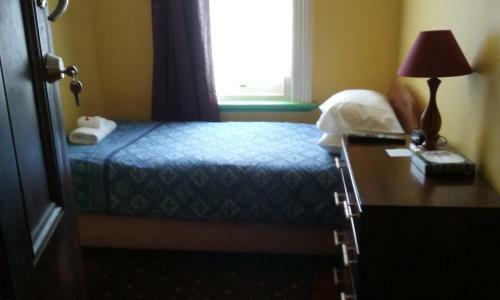 All rooms feature a flat-screen TV and a private bathroom. Opened in 2015, Shetland Court Apartments offers accommodation in a quiet garden setting. 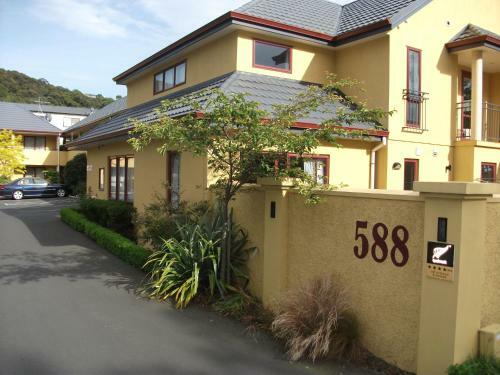 Located in Dunedin, it is just 5 minutes' drive from the Octagon. Guests enjoy free WiFi. Most apartments offer a fully equipped kitchen. 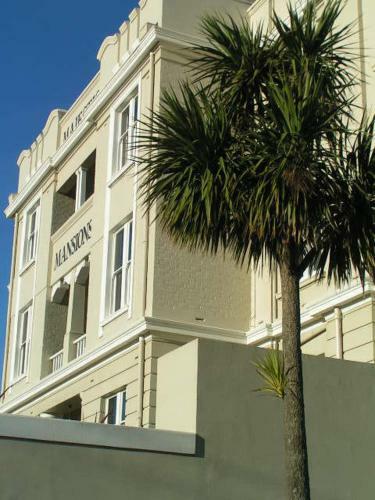 The charming heritage-style Highland House Boutique Hotel is located in the North Dunedin district in Dunedin. Free WiFi is featured throughout the property and free private parking is available on site.